While desktop hard drives tend to be faster than 2.5" disks, you aren't inherently penalized by mSATA compared to larger SSDs. The 240 GB SSD 525 is proof of that. Compared to some of the 2.5" competition, it does really well (this despite its older controller). Fast flash and the newer LLKi firmware help keep the SSD 525 out of the slow lane. Although we're helping it along with compressible data, the 240 GB SSD 525 ranks next-to-last, besting only Crucial's m4. The 4 KB random read potential of newer drives is staggering; the top contenders approach 100,000 IOPS. Intel's flagship approaches 250 MB/s at QD32, but performance at lower queue depths is definitely more important in client environments. The field is significantly closer together with fewer stacked commands. The newer Samsung drives and OCZ's Vector do some serious damage with 4 KB writes fresh out-of-the-box. Consumer drives tend to deliver great results when they're clean, but seldom hold up well over time under enterprise workloads. Thankfully, most desktop users are pretty gentle, so SSDs running under TRIM-enabled operating systems should stay closer to the manufacturer specifications. Samsung's 840 120 GB doesn't make it past 140 MB/s, but the 250 GB version is locked in a dead heat with the SSD 525 when we use incompressible data. Hitting 250 MB/s isn't too shabby for a random data workload. However, when we swap over to compressible information, the SSD 525 matches the high-end 840 Pro and Vector. Nice article. I would like to see more motherboard makers finding a way to include the mSATA slots right on the board like Gigabyte does. I think the ability to have your OS and programs on mSATA and leave the other SSD for games and storage is very welcome. This will be my next hunt, too bad I got rid of my UD5H because it had mSATA slot. I would like to see such feature in the X99/X89 platform. Interesting, if it wasn't a single brand. The 250 GB Samsung 840 still seems to be the best buy when evaluating price per performance as it is frequently offered at around $.60 or less per GB. damn site changes, no edit. Interesting, if some benches weren't Intel only, but all included the relavent competitors. It is REALLY unfair to reduce the performance of smaller GB drives! damianrobertjonesIt is REALLY unfair to reduce the performance of smaller GB drives! This is not something manufacturers do to just to p*ss off users who buy the smaller capacities. A small drive has fewer memory chips than a large drive. The controller has then fewer chips to efficiently spread the data to... and this leads to decreased performances. There's nothing immoral to that. slomo4shoThe 250 GB Samsung 840 still seems to be the best buy when evaluating price per performance as it is frequently offered at around $.60 or less per GB. It's a surprisingly good drive, and performs very well on boards that only have SATA2. 150GB 10K SATA). He is, as one might expect, very happy indeed. performance with the 840 is excellent (I bought one for my 3930K setup). 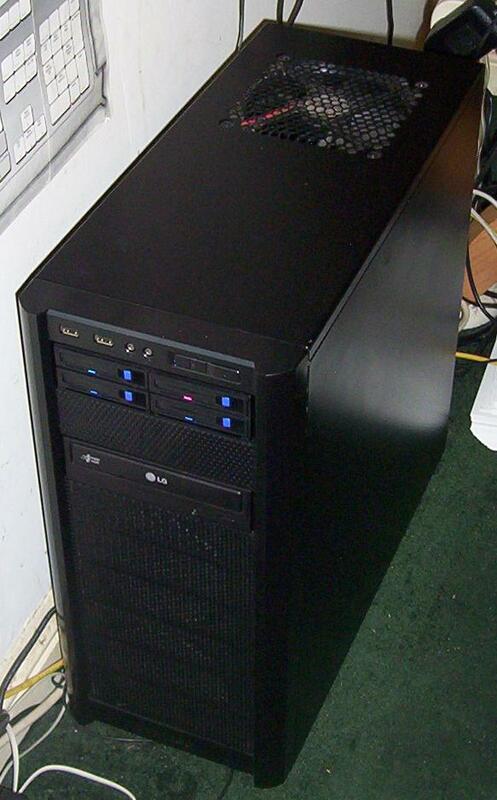 an 80GB full clone from an old disk, lots of Windows and driver updates, game installs, etc. achieved this, but I like it. of life to older SATA2 systems. The vast majority of mSATA systems use the SSD as a cache, and then it's only Intel systems. I would like to see the mSATA ports be more flexible and offered on a larger variety of systems. I'd love to upgrade the mSATA on my laptop but there's no point, I already use an SSD for the main drive. Turning an mSATA into a usable drive on the system is a PITA and just not worth it. I have an Asus Maximus Gene V which has a mSATA slot on a little riser card. I am using a 238GB-usable Crucial M4 there as my system drive. It's been working well, so I have no complaints. I have an ASRock Z77E-ITX back from RMA that I haven't yet put back into service that has a mSATA slot on its underside. It can be used to build a very small system. That these slots are only 3Gb/s hardly matters when comparing them to the speed of a mechanical HDD. ddpruittThe vast majority of mSATA systems use the SSD as a cache, and then it's only Intel systems. I would like to see the mSATA ports be more flexible and offered on a larger variety of systems. I'd love to upgrade the mSATA on my laptop but there's no point, I already use an SSD for the main drive. Turning an mSATA into a usable drive on the system is a PITA and just not worth it. You are confusing msata with mini pcie. A drive is a drive is a drive, sata is sata is sata. Connect any msata drive to an actual msata port (not mini pcie which has the same connector) and it can become your C drive. No one is forcing you to use Intel SRT\RST to use an msata drive as cache. If you purchased a 2.5" ssd and now feel your msata port is useless thats on you. If you had purchased an msata drive you could have used a 1tb in that 2.5" bay instead. dalethepcmanYou are confusing msata with mini pcie. A drive is a drive is a drive, sata is sata is sata. Connect any msata drive to an actual msata port (not mini pcie which has the same connector) and it can become your C drive. No one is forcing you to use Intel SRT\RST to use an msata drive as cache. If you purchased a 2.5" ssd and now feel your msata port is useless thats on you. If you had purchased an msata drive you could have used a 1tb in that 2.5" bay instead. to add some clarification: the confusion stems from some laptops using a mPCI-Express as a multipurpose slot allowing either mPCI-Express or mSATA cards. while i have not seen this on desktop motherboards, maybe ddpruitt's experience comes from spotty documentation from laptop makers on whether their combo port supports mSATA? otherwise, you are very correct that the mSATA should appear to the system as any other SATA drive and be usable as such. It's expensive if you compare it to slow SATA drives that fail even on light usage. I've replaced a RAID-0 array of 15K drives to a single SSD 520 240GB and I must tell destiny is unfair to the state of the art motors that rest silently in a wardrobe now. This is a pretty great solutions for laptops that only have the space for 1 hard drives, and a mSATA slot. mSATA SSD for OS and applications, and the HDD for the laptop for storage. For desktops, this is perfect for cache solutions.